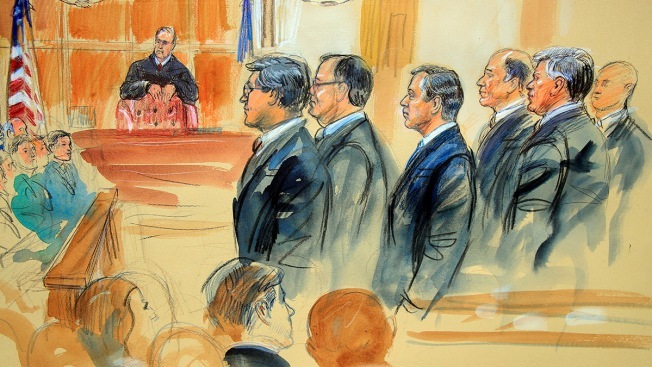 This courtroom sketch depicts Paul Manafort, fourth from right, standing with his lawyers in front of U.S. district Judge T.S. Ellis III, center rear, and the selected jury, seated left, during the jury selection of his trial at the Alexandria Federal Courthouse in Alexandria, Va., Tuesday, July 31, 2018. "I'm not in the theater business," Judge T.S. 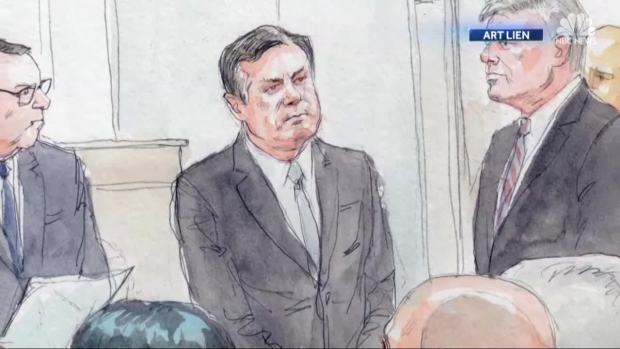 Ellis asserted during jury selection in Paul Manafort's financial fraud trial. "You have to be better-looking for that."